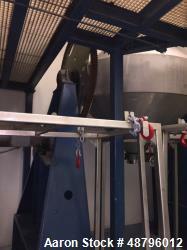 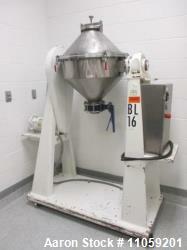 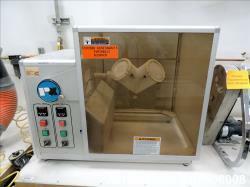 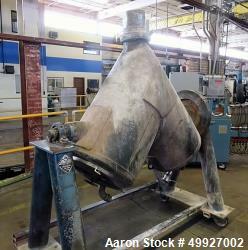 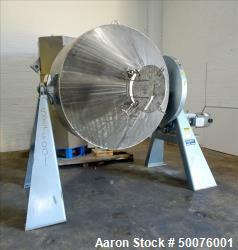 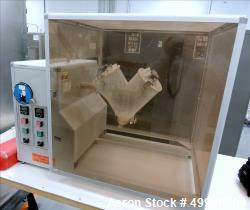 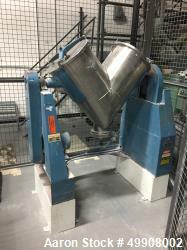 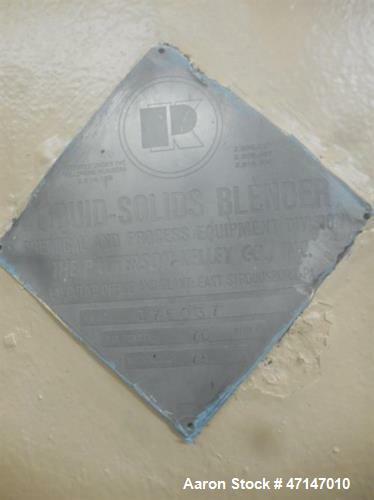 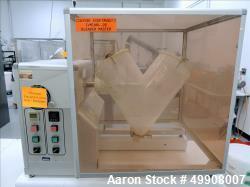 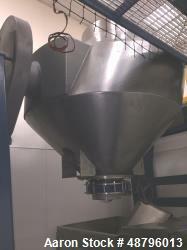 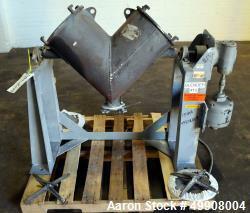 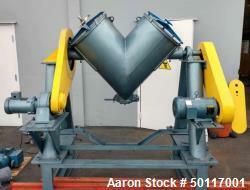 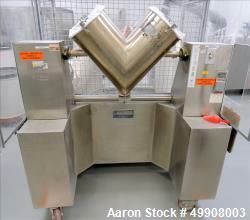 Used- Patterson-Kelley 75 Cubic Foot Stainless Steel V-Blender. 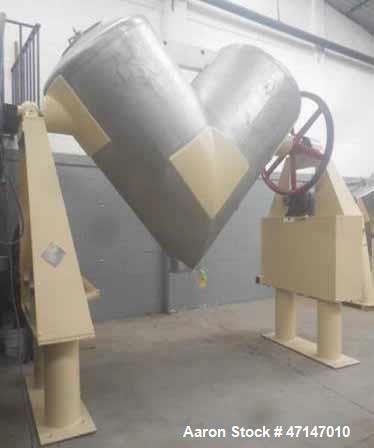 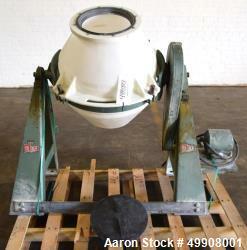 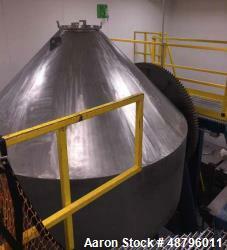 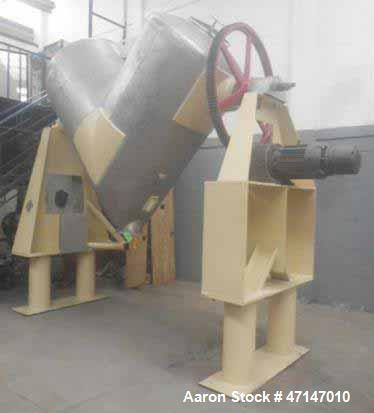 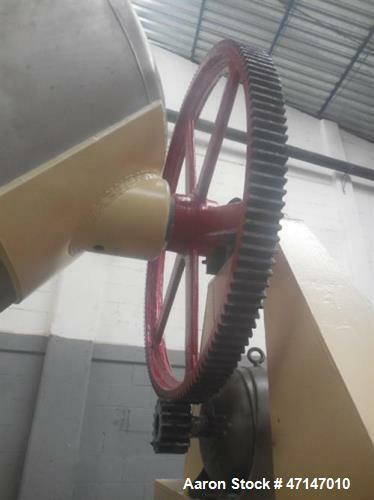 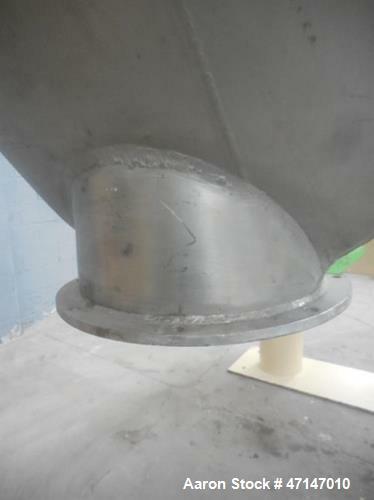 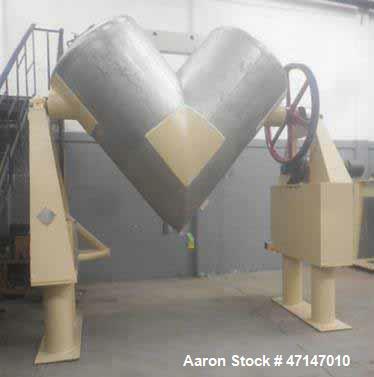 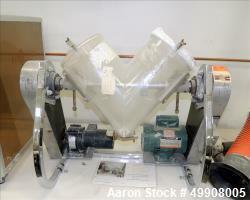 17.5" diameter inlet openings, 12" diameter discharge valve (missing parts - see photos). 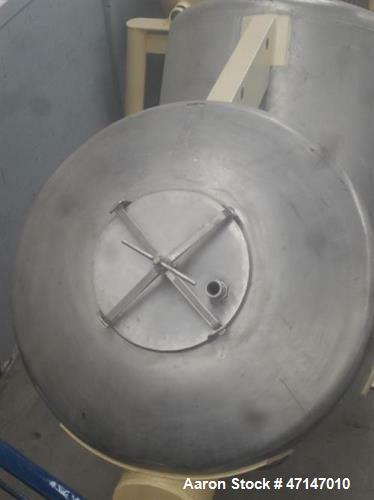 Maximum density 70 pounds/cubic foot - 10 hp, 3 phase, 60 cycle, 220 volts.